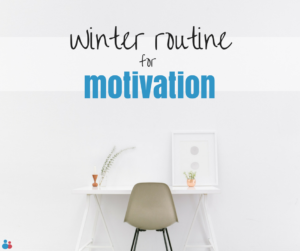 We look at ways to switch up your routine, for optimum motivation, even in winter! 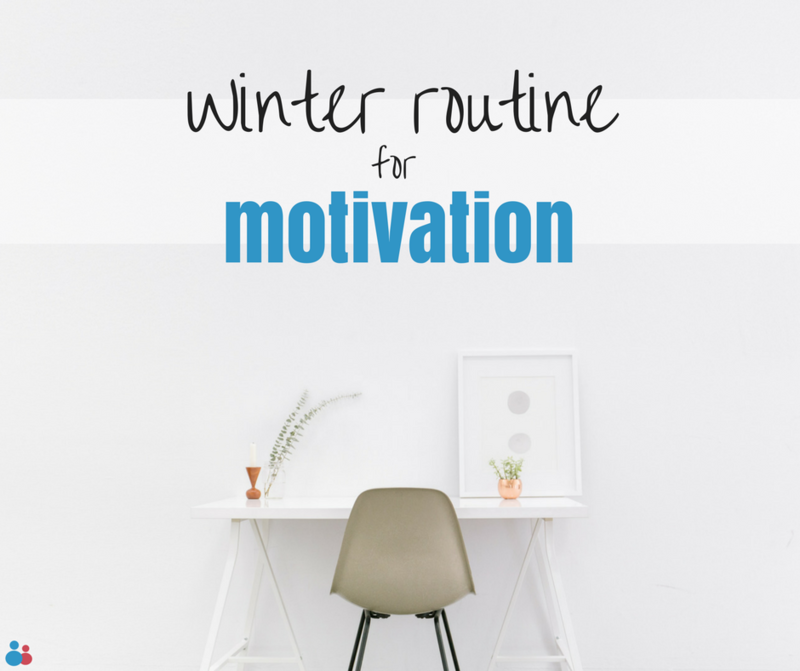 With winter fast approaching, our motivation and ‘get up and go’ dwindles. Our lovely, sunny routine is over and things don’t seem to be sitting right anymore. Whether you’re a fan of winter or not, the darker days can hit us hard. We’re tired and sluggish, it’s getting colder and well, we can’t remember the last time we went to the gym. But winter rolls around every year and sadly, hibernation isn’t for us. So, here are our tips for shrugging off the post-summer sulk, and relighting your fire. Rather than starting in the morning, prepare for the next day, the night before. It doesn’t take long, but when your alarm goes off and it feels like it’s 4am (it’s not, of course) having everything ready for you can be a life-saver. Prepare your lunch for the week in the evening. Honestly, you’ll thank yourself later – it saves you time in the morning, saves you money and keeps you on track! And prepare what you’re going to be wearing, it can save you a lot of stress. Similarly, make a physical or mental note before you head to bed of all most important things you need to do the following day. The list doesn’t need to be long, but knowing your top three priorities will prepare you for what’s to come, without time to find an excuse! Winter mornings can be particularly tough, even if you are an early bird. The dark mornings and crisp, cold air aren’t exactly the things to get us out of bed, but needs must. You may be surprised, but we find setting our alarm a little earlier than usual can give us the boost we need to jump out of bed. Getting up is the worst part, so get it over with! Speaking of alarms, you don’t need a loud, brash alert to wake you up. A soothing, enjoyable and progressive alarm can be just as effective. A gentle sound will wake you up slowly and more naturally, giving you time to adapt to your surroundings. You’ve heard this before, but eating something in the morning is a great way to get you ready for the day, feeling motivated and energised. Whether you like a coffee and toast, fruit and yoghurt, warming porridge or a full English, make sure you grab something. Oh, and hydrate! If you’re normally one to hit the gym or a yoga class after work, it’s likely that now it’s darker, you’re finding it more difficult. So why not switch it up? Now that you’re setting your alarms earlier, set aside time to move your body. Stretching, raising your heart rate and moving your body have so many benefits – and are great ways to start the day. Plus, going early means you have the evening to relax! If you work in an office, the chances of you seeing daylight are slim. But sunlight is so important, for both your happiness, and energy levels! Winter time (especially here in the UK) can be tough on our bodies; the limited daylight actually tricks our bodies into thinking it’s time for bed, which isn’t good when you have a meeting at 3pm! To combat this, take the opportunity to go outside on your lunch break. Moving your body, especially if you work a desk job, is incredibly beneficial for physical and mental health, and it gives you the chance to enjoy some sunlight. Also, ensure you have a real lunch break. Whether at work or busy at home, lunch is often a meal that gets forgotten about – until you’re reaching for biscuits at 4pm, that is. Before you begin your evening plans, prepare for the following day by writing up a new to-do list. Write down tasks, and anything else that is on your mind, such as reminders or meetings, so you can fully switch off when you get home. In the standard nine to five role, the evening is your time to relax and unwind, so this is what you should do! Socialise with loved ones and those who inspire you, watch TV or read a book, whatever it is you enjoy. In winter, we tend to eat more comfort food. Combine eating our favourite treats with moving less and it’s easy to see why many of us feel unhappy and sluggish during the colder months. Make sure you eat plenty of fruit and vegetables and drink lots of water during winter, as this will keep you healthy and strong. But, we don’t mean you have to eat a cold salad every day! There are plenty of warming, comforting foods that still give you your five a day. Why not try a vegetable soup or homemade stew? If you’ve had a busy day, setting aside time to really relax is key. Rest and relaxation are so important for maintaining health, well-being and work/life balance, so in the evenings, do what you love. Whether you want to go for a run before settling down with a good book, write in a journal, watch your favourite film or have a pamper evening, enjoy it. Aiming to get at least 8 hours sleep and having a routine in the evening, ensuring you include a little TLC, is vital for health and happiness. However busy your day, be kind to yourself and listen to your body. This way, you will flourish during the winter months, rain or shine. Can you do it alone? Bucking the gender trend and following your passion - three reasons to get out of your comfort zone.